he DCT laboratory is a joint laboratory of the Control Systems Technology and Dynamics and Control groups. It provides a combined educational and research facility for MSc and PhD student projects. Laboratory facilities are regularly replaced by newer set-ups to warrant a state-of-the art laboratory for research that also accommodates today’s educational needs. In the past years a large variety of test set-ups has been exploited in the DCT laboratory. Some of the equipment is replaced over time by newer facilities or, depending on the project, have been removed. 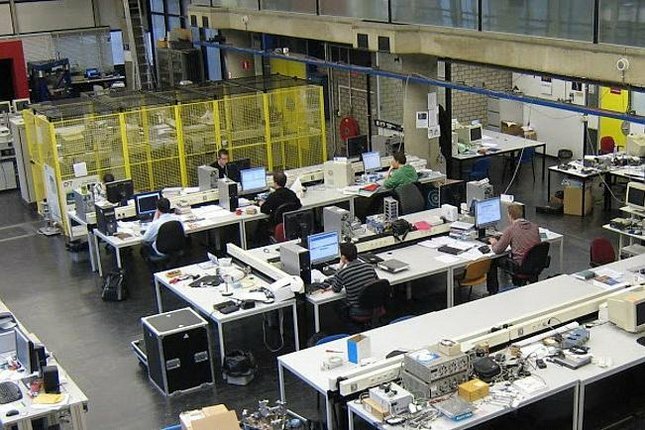 The technical staff (mechanical and electrical) provide support and create a stimulating environment for PhD and MSc students to carry out experiments in the DCT lab. The real-time hardware, data acquisition and measurement equipment includes dSpace and Beckhoff systems, SigLab measurement systems as well TU/e DACS systems that enable students to use their own notebook computers as real-time control processors.